So you may be new to reading YA, or just looking for some awesome book recommendations… Today I’m going to help you add LOTS and LOTS of books to your TBR piles! Undone by Cat Clarke will give you ALL THE FEELS. It made me cry so much and I loved every single second of reading it. It’s a must have on your shelf because it has LGBT themes, deals with grief and loss, and also has a brilliant plot! Shiver by Maggie Stiefvater is a favourite YA book of mine because I read it right when I was getting serious about reading YA. It’s about werewolves which may seem cheesy after Twilight but it’s such a refreshing urban fantasy novel that you can become invested in easily. Daughter of Smoke and Bone by Laini Taylor has SO many fans. I still haven’t read the second or third books in the trilogy, but I really enjoyed the first instalment when I read it a few years ago. It’s completely unpredictable so it’s a very exciting reading experience! The Name of the Star by Maureen Johnson is one of my favourite books of 2015 so far and is about imitations of the Jack the Ripper murders happening in London. Rory, the main character, is American and starts at a boarding school in London just as the murders start to happen. I LOVE this series a lot and can’t stop recommending it! SO, SO fantastic! Trouble by Non Pratt is about teenage pregnancy and it’s written perfectly. I enjoyed it so much and can’t wait to read Non’s next book, Remix, as I loved Trouble so much. We Were Liars….It really is best to lie about this book because the least you know about it the better! It took the book world by storm last year, and I still can’t believe the shock ending! I really didn’t expect it at all. Fangirl by Rainbow Rowell is one of my all-time favourite books and perfect for people who love sites like Tumblr and are involved in Internet culture. It’s about a girl called Cath who, alongside her twin sister, is starting college. Cath writes fan fiction on a book series very similar to Harry Potter! Throne of Glass by Sarah J. Maas is a favourite fantasy book of mine and centres around Celaena Sardothien, an assassin who is chosen by the prince to enter a competition to become the King’s Assassin. READ IT, READ IT, READ IT! Have a Little Faith by Candy Harper is hilarious and is a relatively short book too! It’s very true to a British teenager’s life and I adored it. Every Day by David Levithan tells the story of A, a person who wakes up in a different body each day but, one day, A finds that there’s someone they just can’t let go of. It’s unique and David Levithan writes so beautifully. Which books would you add to my list? Have you read any of these? I love Maureen Johnson though, she writes so well and with great humour. So many of these sound sooo good, I want to put Undone on my TBR pile immediately! I really want to get back into reading YA fiction, so this was really useful, thanks! I’ve read most of the books on your list! I am yet to read Every Day, The Name of The Star and Shiver. Every Day and Shiver are coming up soon though. Great post Lucy. 🙂 This starter kit would be the perfect introduction to YA! 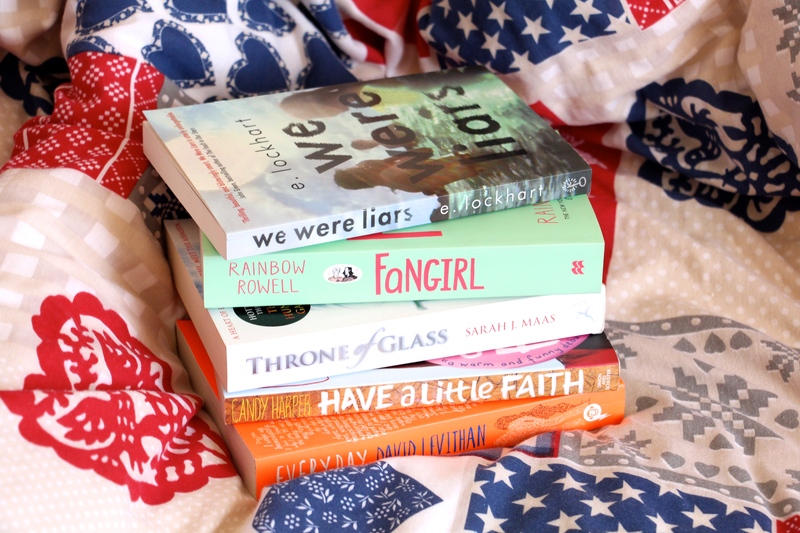 Went Read More YA , thinks for this amazing Rec list , I have read Fangirl and Everyday. I didn’t Every Day as much but did love Fangirl. I have read a few of these but I am yet to read Fangirl, although I have it, sitting on my shelf right now. Also, this has reminded me that I really need to pick up Trouble and Every Day, they have been high up my list for a while but I just never get round to them. Now I definitely will 🙂 Thanks! 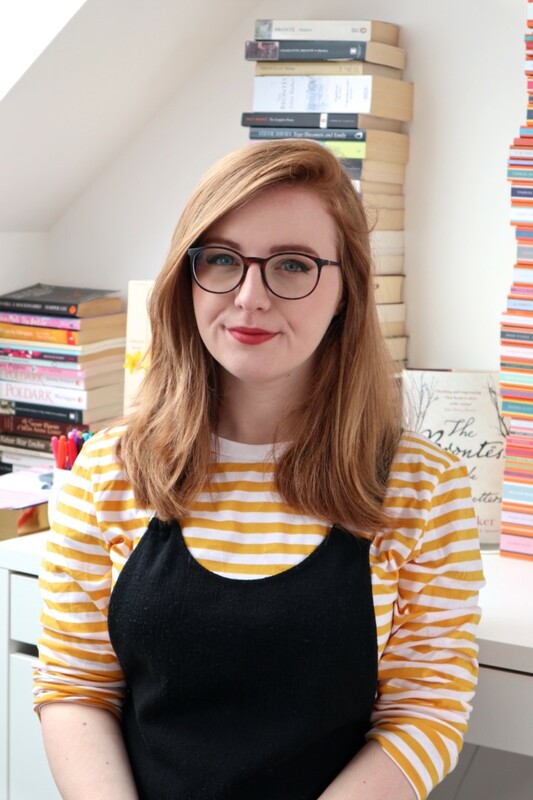 Chloe Lauren recently posted…YA Books To Look Out For In April! I ADORE We Were Liars. I read it last summer and fell in love. It’s such a sad and dream-like story. So many people have disliked the Shiver trilogy, so I’m glad to find someone who enjoyed them. I’ve also been meaning to read Daughter of Smoke and Bone for ages now! I really need to get to that. Natalie @ Flowers in my Books recently posted…TTT #3 – Characters I Want To Check In With. YOUR BOOKS ARE SO PRETTY. 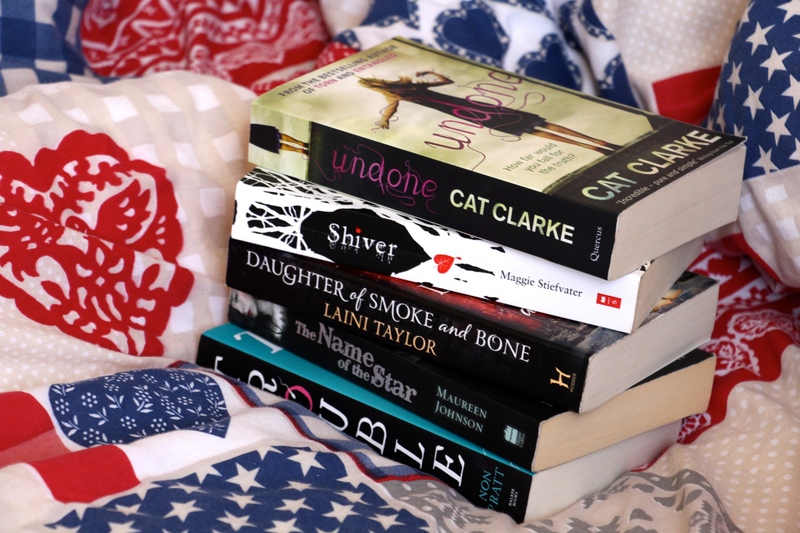 I loveeeed Daughter of Smoke and Bone – it was brilliant! I really want to read We Were Liars, Trouble, Throne of Glass and The Name of the Star!